A city worker in Manchester, New Hampshire is recovering from hundreds of bee stings after disturbing a beehive. A city worker in Manchester, New Hampshire, hit a hive while trying to cut down a tree and was stung by hundreds of bees. A Manchester, New Hampshire, city worker is alive after being stung 200 times by a swarm of bees, thanks to a man who came to his rescue. 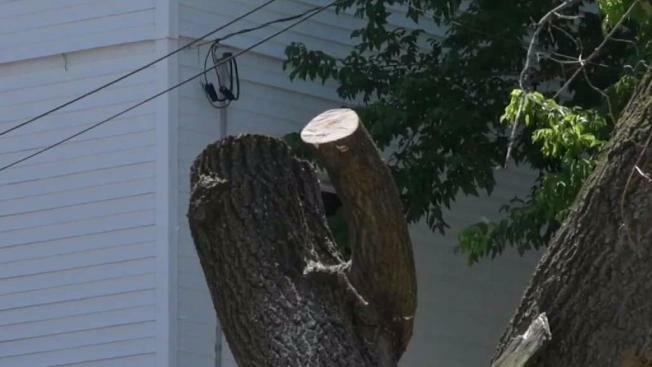 Fire officials say the worker was cutting down part of a tree near Beech Street that was damaged in a recent storm when he hit a bee hive. An estimated 500,000 angry bees flew out, according to fire officials. The worker, who was harnessed in a bucket truck, was reportedly stung about 200 times. 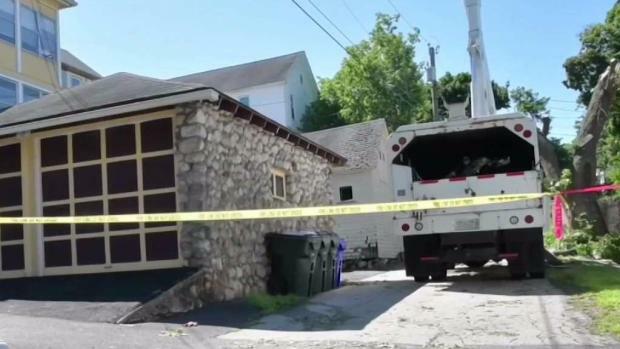 "He had no way of getting out of the bucket because he was strapped in," said Manchester Fire Department District Chief Al Poulin. "He recieved numerous facial stings." A man is recovering after disturbing a hive full of thousands of bees, and he might have died if not for the help of strangers. Another worker and 62-year-old Randy Graham, who lives nearby, were among the first to help unsecure the worker from the bucket truck. Both were stung multiple times in the process. "It was unreal," Graham said. "Like a cloud." Graham and the city worker were taken to seperate nearby hospitals. A U.S. Army Special Forces veteran, Graham raced toward the screaming man when he saw what was happening. "I grabbed him, reached up, grabbed the boom," Graham recalled. "Man, was he crying." According to fire officials, Graham prevented many more stings and likely saved the worker's life. But he was stung multiple times himself. "All over. My eye, all over my back ... my arm," Graham listed. An exterminator arrived Thursday afternoon to get rid of thousands of bees that remained in the area.